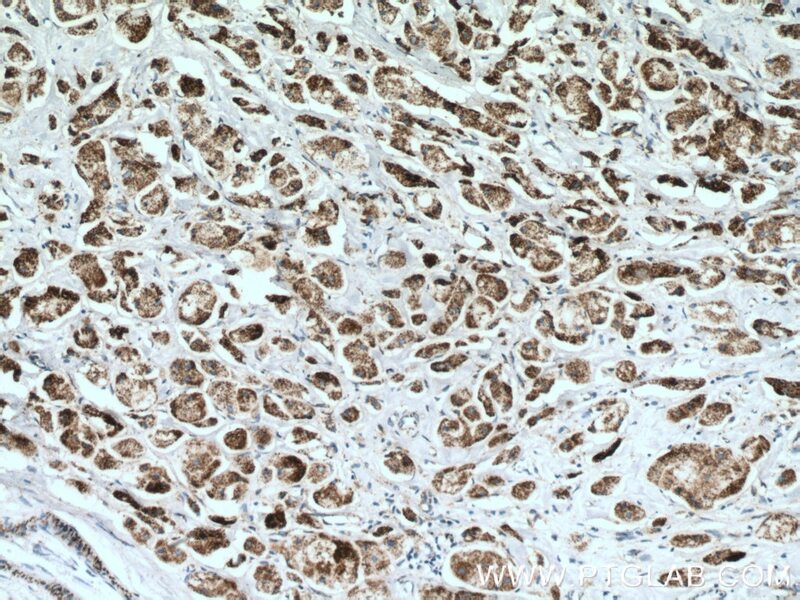 Immunohistochemical analysis of paraffin-embedded human breast cancer tissue slide using 13206-1-AP( AK3L1 antibody) at dilution of 1:200 (under 10x lens) heat mediated antigen retrieved with Tris-EDTA buffer(pH9). 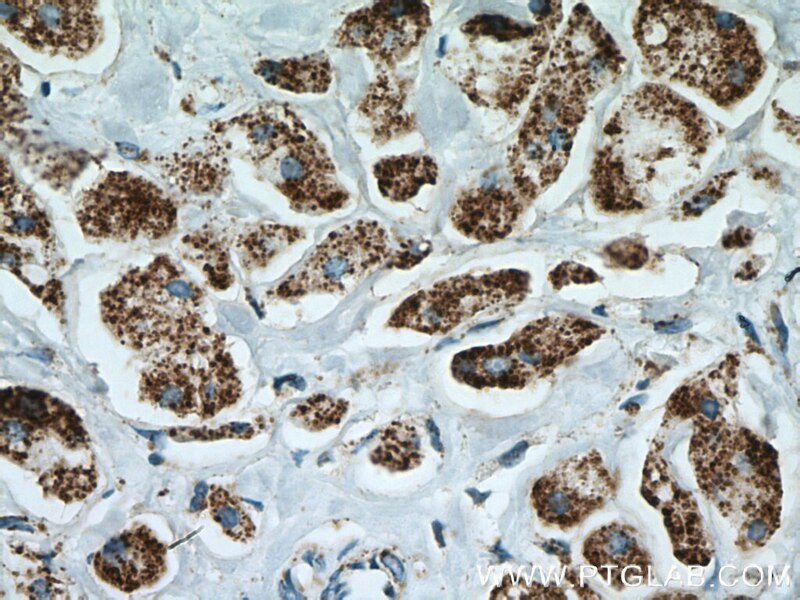 Immunohistochemical analysis of paraffin-embedded human breast cancer tissue slide using 13206-1-AP( AK3L1 antibody) at dilution of 1:200 (under 40x lens) heat mediated antigen retrieved with Tris-EDTA buffer(pH9). 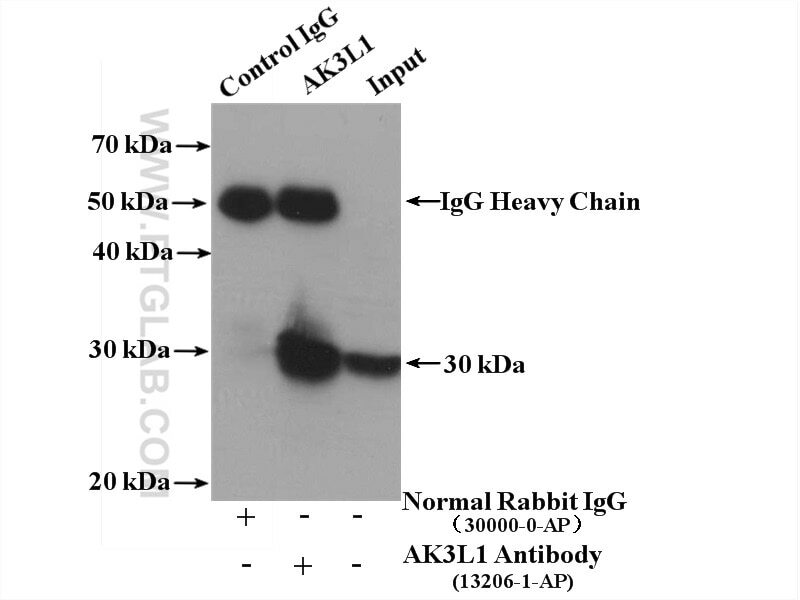 AK3L1(Adenylate kinase 3-like) is also named as AK3, AK3L1 and belongs to the adenylate kinase family. 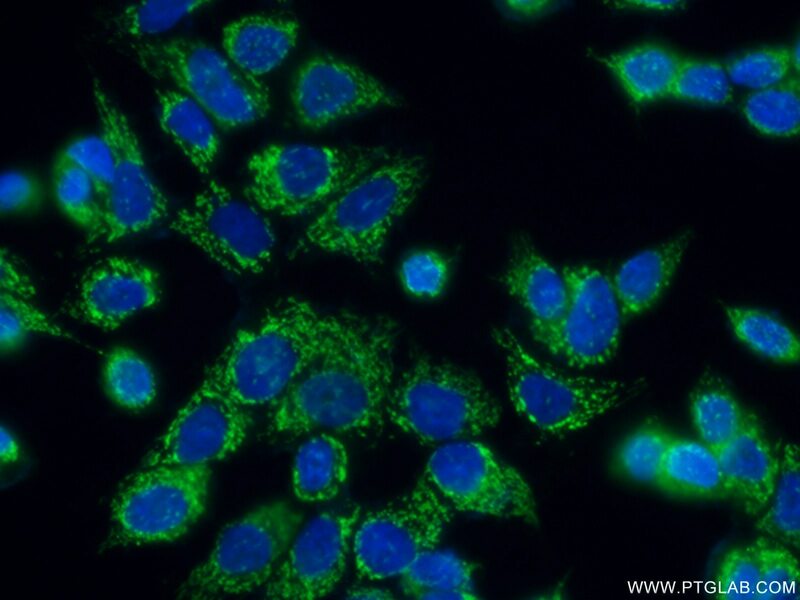 It catalyzes the reversible transfer of the terminal phosphate group between ATP and AMP. It is important for maintenance of homeostasis of the adenine and guanine nucleotide pools. Expression is highest in kidney and heart, moderate in liver, weak in brain, and barely detectable in placenta and lung by northern blot(PMID:11485571). The miR-199a-3p regulates the radioresistance of esophageal cancer cells via targeting the AK4 gene.